Cameroon coach Volker Finke has named his squad for the penultimate and final rounds of the 2015 Africa Cup of Nations qualifying, with two players appearing for the first time with the outfit. 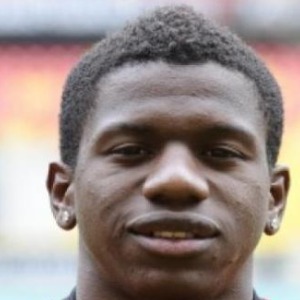 Patrick Ekeng Ekeng, midfielder with La Liga side Cordoba and defender Adolphe Teikeu of Odessa in Ukraine are winning their first cap with the Indomitable Lions. Most of the players who began the qualifying campaign figure on the list. The German manager says his team is doing a good job and needs not to be changed. Cameroon are leading Group D with 10 points ahead of DR Congo and Ivory Coast on tie at six. The Lions will host the Congolese on November 15 in Yaounde, a reverse fixture of their first encounter that ended 2-0 in favour of Cameroon early September. Four days after, Cameroon will lock horns with Ivory Coast in Abidjan in a decisive clash that could determine the two teams to qualify from the group. Goalkeepers: Fabrice Ondoua (FC Barcelone, Spain), Guy-Rolland Ndy Assembe (Nancy, France), Pierre-Sylvain Abogo (Tonnerre de Yaoundé).